As we explore who Jesus was and what he called us to do, we get this idea of being ‘On Mission’. Although this word ‘mission’ has been used by lots of different folks in lots of different ways over the years, we take Jesus’ words to heart when he said he had come to announce good news for the poor, the captive and the oppressed (Luke 4:18-19), and we believe that should drive what we do as a faith community as well. Because we want to follow Jesus, we have a strong desire to make our involvement in the community a priority. Sometimes we do this through our own initiatives. Sometimes we do this by supporting organizations and groups already involved in caring for those less fortunate in Barrie. Some of the things that we do at Vox fit into neat little categories, like the Refugee Sponsorship and Redwood Park Communities that you can read about below. But we have found lots of other opportunities over the years to get involved. One of our favourite is our Vox Moving Days (where we help someone move). 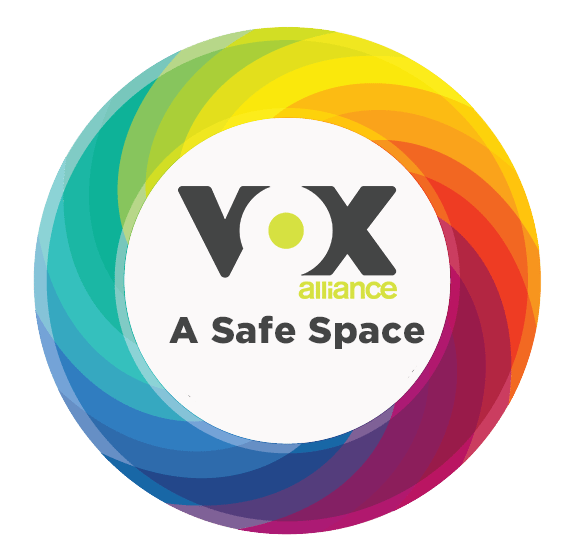 Another favourite is our Vox Work Days (where we go and help a family or individual who is struggling with bigger jobs around their property). These experiences give us a chance to show up in real and tangible ways that make a difference. And we don’t think it should just be the adults who get to make a difference in our community! The Vox Kids fill backpacks each Christmas with needed items for individuals living at a local halfway house. They also use our Vox Sox Box to help us support those experiencing homelessness through the David Busby Centre. And the annual ‘Drive-In’ movie gives us a chance to collect drinks for Rose Romita’s annual Thanksgiving Community Dinner. On top of that, our Jr. High students are active once a month in cooking to provide meals for struggling members of our community. Some go to families at Vox who are struggling. Other times they have made packed lunches for our street affected population in Barrie or those living in Tent City. We often hear in the media that the government spends a lot of money covering the costs for refugees coming to Canada. This is not really the case. While the government does cover some of the costs associated with healthcare, etc, Vox Alliance Church will be responsible for the majority of the expenses for the first year. We are budgeting for a total cost of $30,000.00 between now and July 2019. At this point we have raised almost $15,000.00, but we still have some work to do. There is some financial assistance available through our denomination, but this will leave us with approximately $10,000.00 still to raise in the coming months. Pray! Please pray for wisdom for the sponsorship team as they make decisions and plan how to best move forward with this. Donate! We have created a designated fund at Vox for this endeavour. That means that all donations made to this fund will only be used to sponsor a refugee and will not be used to cover other costs that Vox may have. If you would like to donate to this, you can do so by visiting our Canada Helps page and selecting the appropriate fund from the drop down menu. Become a Fundraiser! We would like to encourage you to go one step further, and consider becoming a fundraiser for us. Perhaps you could share the need with your friends and family and give them the opportunity to support this worthy cause as well. In 2009, one of our community members stepped out and started an organization called Redwood Park Communities. Their goal was to provide housing for those in the city who could not afford it. They began their mission by partnering with the local Women’s Shelter to provide transitional housing for the women who were leaving the shelter. In 2013, Redwood Park Communities purchased a local property. They renovated it to create five transitional units and a community space. We have been there every step of the way. Please consider taking a few moments to head over to their website to learn more about this amazing organization, and perhaps consider funding them through a regular monthly donation.